The 20th Annual Conference for Nurses was a flying success. The talks that we heard were received well, and each speaker made contributions that were both unique and pertinent to the day’s overall theme. The ISH would like to extend a huge “Thank You” to everyone who came and made this special event possible. We are looking forward to next year’s conference for nurses! We must say a special “congratulations” to the recipients of the Emma Josephine and Loeffelholz McMorris, RN Award. 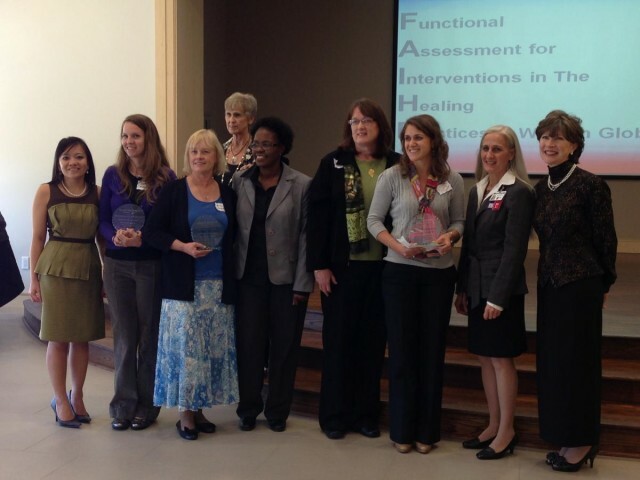 This award recognizes outstanding nursing, espcially in relation to attention to spirituality in healthcare settings. Dr. David Levy speaks with an atendee while signing books after his talk. Mary Helen Casseday and Jerri Doctor sit with smiles and check attendees in as they arrive.